The current rally continues into the end of 2017. U.S. markets are closed on Monday for the Christmas holiday, with trading set to resume on Tuesday. Passage of a new tax plan didn’t move the markets last week, mainly because opinions outnumber facts with regard to the impact. 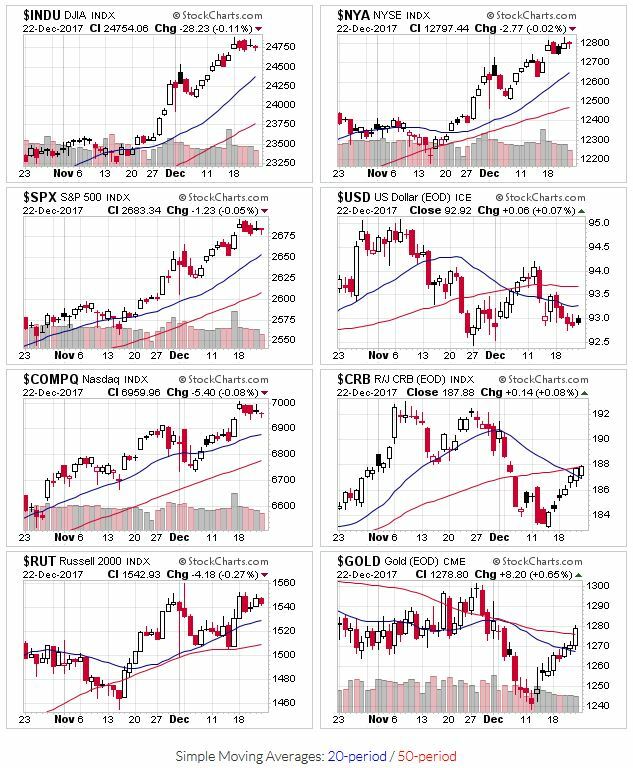 All the market indexes remain above their 20 and 50 day moving averages to start the last week of 2017. No change in the price and volume action last week. Leading stocks continue to be extended (a bad thing), or are working on new bases (a good thing). Hopefully Tony and OEW will be back in action to start the new year. Wishing all of you a Merry Christmas and Happy Holidays!